I am, in my bones, a law-abiding sort of chap. I was brought up to respect the law and in turn have done the same with my children. I have also spent much of my medical career doing my best to help smokers quit their habit using all the methods available to me. You might wonder what links these two statements and the answer lies in Hong Kong where – if I was a smoker trying to quit their cigarettes – I would now be wondering if I was going to be sent to prison for up to six months simply by carrying an e-cigarette in my pocket. This is a very real concern as the Government there appear to be set on this course and cite what they see as evidence from the UK as part of this drive. They have (incorrectly in my view) asserted that vaping is leading to an increase in smoking in the UK, which is flatly contradicted by the position of the UK Government, Public Health England’s annual review, and the conclusions of anti-smoking charities such as ASH and Cancer Research which continue to be supportive of vaping. In a timely reminder, one cross-sectional study of almost a quarter of a million respondents published in recent days by the peer-reviewed journal Tobacco Control found that e-cigarettes do not promote smoking in teens and that vaping has not ‘re-normalised’ tobacco smoking in the young. I spend much of my time talking about smoking cessation strategy at medical conferences and even amongst my peers there can be much myth and misunderstanding surrounding the rise and usage of electronic cigarettes by smokers. 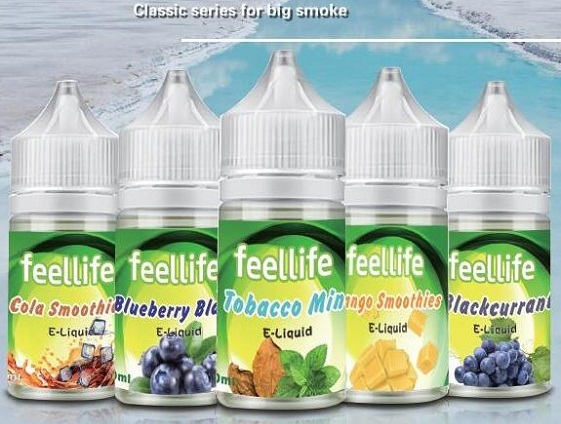 At its simplest level, an e-cigarette allows the user to inhale nicotine through a vapour rather than smoke, and work by heating a solution typically containing nicotine, flavourings and propylene glycol. There is currently no medicinally licensed e-cigarette product available on the UK market but we have some of the strictest e-cigarette regulation in the world here. The 2018 evidence review from Public Health England (PHE) concluded that e-cigarettes are at least 95% safer than conventional smoking, with some 3 million people in Great Britain using them – around one e-cigarette user per three smokers. This upward trend in usage has not been powered by public health policy but by the public deciding this is what they like, this is what they want and that this is what works for them with more ex-cigarette smokers using e-cigarettes now than current smokers. Public health bodies have affirmed their positive impact on smoking quit attempts, and they are now more than 10 times more popular as NHS Stop Smoking services. As such, their use cannot be ignored or denied and with PHE suggesting ‘an upper bound estimate of around 57,000 additional quitters annually resulting from e-cigarettes (lower bound around 22,000)’, as medical professionals it is wise for us to be well-informed about them. This being the case then, why is there so much apparent Sturm und Drang surrounding e-cigarettes and vaping, to the level of possible legislation to imprison users in the East? I have found that much of this stems from the myth that nicotine is harmful to smokers. It is certainly true that nicotine is a highly addictive substance, and keeps smokers hooked on their habit but it is not what kills a smoker every six seconds around the world. The lethal substance that does that is a very simple one – smoke. By inhaling tobacco smoke, a smoker puts into their body over 4,000 chemicals and some 70 or so actively carcinogenic compounds that cause all the health problems so commonly seen in smokers. Nicotine by comparison, is probably no more dangerous than the cup of coffee sitting cooling by my elbow as I’m writing this piece, and this is where pragmatism is needed in my view. If I am brutally honest, I am not bothered if my smoking patients continue to use nicotine long-term to help keep them away from cigarettes and – more crucially – from inhaling smoke. The days when the only good smoker was a quit smoker are no more, otherwise what do we do to help smokers who either choose not to quit or find it very difficult to quit? The concept of tobacco risk reduction is crucial here and as part of this concept it should be made as easy as possible for smokers to switch to nicotine products that cause them significantly less harm than smoking, should they want to do so. I do not necessarily want my smoking patients to be nicotine-free, I simply want them to be smoke-free. Nicotine may keep them hooked but it is smoke that puts them six feet under the ground. Leading UK health authorities and public health organisations (including the RCGP, BMA and Cancer Research UK) have all agreed that although not risk-free, e-cigarettes are far less harmful than smoking. On my travels I often hear the argument ‘Ah, but we don’t know their long-term health risks, so we should adopt a wait and see plan here’ and of course this is true as we don’t have a crystal ball to look 30 years into the future. However, current evidence does not suggest any issues to alter usage advice, and what we do know is that if a smoker continues to inhale smoke rather than switch to a nicotine-only product they have a one in two chance of dying from that smoke in the meantime. I have already heard personal stories from smokers in Hong Kong who have quit their 20-a-day habit by using e-cigarettes but who have now reverted back to smoking because of their fear of what legislation may mean for them in the coming months and this highlights how public health policy decisions can be affected by misinformation and ignorance. We have come a long way from sixty years ago when my mother started smoking – on doctor’s orders – to ‘help with her nerves’. (You can guess the outcome). Nicotine-containing products in the form of e-cigarettes are simply another tool in our smoking cessation toolbox, and one that the smoking public have taken to their heart. For me, to threaten them with a criminal record and imprisonment for trying to take back control of their long-term health is at best perverse and at worst a fast track to an early grave.